At Apollo Dock and Landscape Lighting in Fort Lauderdale, we specialize in world class landscape lighting design and dock lighting installation. When you invest in a professional lighting system by the Apollo Dock and Landscape Lighting team, you’re going to be satisfied by the quality, durability, and beauty of your outdoor area. We individually deisgn each of our landscape lighting installations to match you and your property needs. We can do both commercial lighting installations & residential. Call now to schedule a free outdoor lighting consultation with us to brighten your world. Dock Lighting & Landscape Lighting offers your home security and enjoyment. The applications are endless and will have you entertaining into the night in your beautifully lit backyard! Every landscape lighting design our company install is highly energy effecient. Running on low voltage, you never have to worry about an increased power bill if you want to leave them on all night! Leave it to our expert outdoor lighting design crew to illuminate your front & back yard! What sets us apart from the rest is each installation is designed specific to your needs and customized for your property. Whether you want to do reisdential landscape lighting or deck out your business with commercial outdoor lighting, Apollo Dock & Landscape Lighting has you covered! Dock lighting installations provides your home or business with ambient ligthing to enhance the experience of being on the water. Enjoy your dock late into the evening or come home from a night fishing trip to an illuminated dock! Stop tripping over cleats and get some awesome LED dock lights! Have the entire neighborhood talking about how good your house looks with underwater dock lighting installations. Illuminate the water in colors and enjoy seeing the activity of fish swimming around the area! With over 50,000 hours of use on the high quality LEDs we install, never worry about your underwater light burning out for the next 10 years! As an added bonus, we offer the option of fully controllable systems. Not only do we create the best landscape lighting designs in Fort Lauderdale, but we give you the option to control them right from your smart phone! There are many of benefits to installing outdoor lighting for your home. One reason for lighting up your outdoor living area is for safety. The light increases visibility around your landscape. This keeps you safe from run-ins with nocturnal critters and potential trespassers. Burglars also are more likely to avoid breaking into a home with a well-lit outdoor area. Another reason to get outdoor lighting is because of improved aesthetics. We have LED lighting options in all colors, beams, and sizes for a customized glow to your home. The competition can not compare to the the durability or the aesthetic appeal of Apollo Dock and Landscape lights. They are great mood setters and party-starters! If you are looking to enjoy your patio space, have dinner outside, or relax with your friends and family, outside lighting can maximize your hang out space. Regardless of the occasion, your outdoor area will become the destination! Since we use only the highest quality LEDs available for all of our landscape lighting designs, underwater dock light and deck lighting installations, they will last an average life span of 50,000 hour - or roughly 10+ years of use! Will you do buildings or businesses? Of course! We love doing outdoor commercial lighting designs and incorporating into the ambience of your establishment. Enahnce your outdoor dining area or make your pathways safer when it gets dark out. 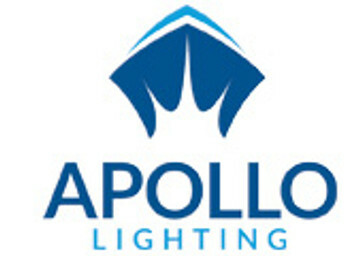 What ever the reason, Apollo Lighting is there to help you have a customized landscape lighting solution for your business. "If you need outdoor lighting, Jack at Apollo is the man to call! Not only did they provide an amazing lighting design but the pricing was pretty awesome as well! We will be getting our dock lighting done soon!" "Simply the highest quality landscape lighting designs I have seen in my years in the business. I have owned a landscape company for the last 20 years and I have not seen the quality these guys put out by providing my clients with an awesome solution to outdoor lighting. " "We had Apollo install LEDs in our boat and we could not be happier! Call them and let them show you what they can do because we are simply amazed at what we got!"